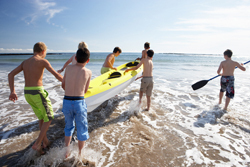 Summer Camp Drowning | Nashville Injury Lawyers The Law Offices of John Day, P.C. When parents send their children to summer camp, they expect them to have fun, develop a deeper appreciation for nature, forge new friendships and build self-confidence. In their worst nightmares, they do not expect them to be the victim of a drowning or near-drowning accident. But unfortunately, these types of accidents do occur and are often the result of the camp's negligence. A serious near-drowning accident may leave the child with a permanent brain injury and in need of expensive medical care for the remainder of his life. If the child dies, the family suffers an unimaginable loss which sometimes results in the family being ripped apart by grief and despair. If you entrusted your child to the care of a summer camp and your child was injured in a drowning or near-drowning accident, it is critical for you to consult with one of our experienced Tennessee drowning attorneys. We will provide you with a free, no-obligation consultation in which we evaluate your case and advise you of your rights. At The Law Offices of John Day, P.C., we only get paid if we recover money for you and we never ask our clients to advance case expenses or incur litigation loans. We are committed to delivering justice and compensation to the families of injured children. We have recovered more than $100 million dollars for our clients and we want to help your family too. Call one of our summer camp drowning attorneys anytime at 615-742-4880 or toll-free at 866.812.8787 or contact us online.